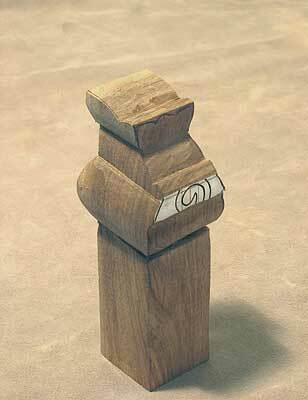 It is time to remove the stub now. 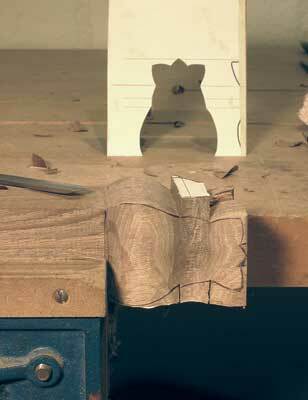 Clamp it and saw gently from each side in turn, following the base guidelines. 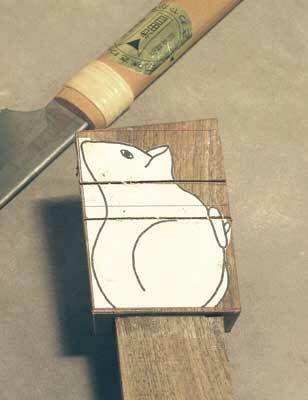 For the last few millimeters, hold on to the mouse - it would be tragic to drop it at this stage! This mouse sprang to life some 12 years ago as a sketch by my partner, Sue, a compulsive doodler of critters, cute and otherwise! 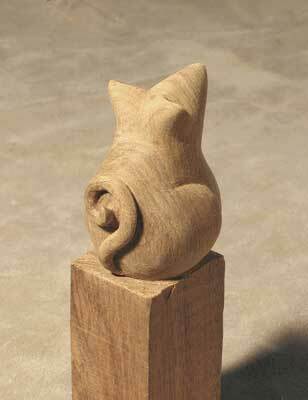 At the time I had just begun to carve, so a curly tail was added and he became my second try at in-the-round carving. 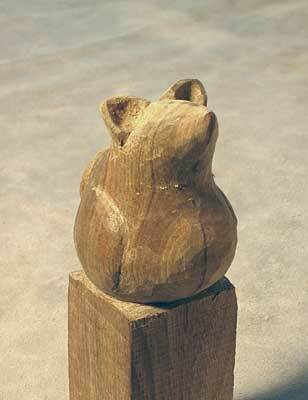 The original mouse was carved 'diagonally' from a 50mm (2in) turner's blank of walnut. 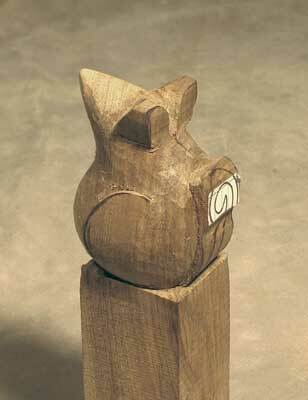 I guess this was to make full use of the meagre dimensions, his nose and tail tucked into the corners. Whatever the reason, the old fellow is still distinctly diamond-shaped when viewed from above. Setting aside the shortcomings of my first attempt, I still like the design. I reworked it, adding a suggestion of haunches and a larger, rounder belly. I also considered it prudent this time to find a blank that would accommodate the design properly. I used walnut (Juglans regia) because its cold brown colour seemed somehow 'mousy' to me. 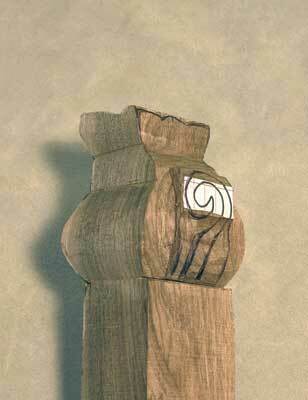 Things turned out darker than I intended, and perhaps walnut sapwood - which is paler - was more what I had in mind. 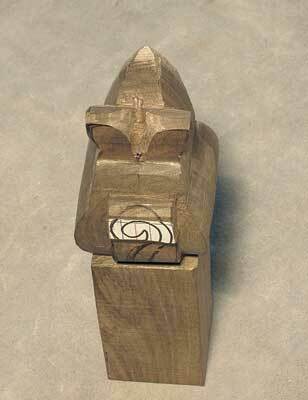 If you decide not to use walnut, I would suggest a reasonably fine-grained wood is needed if the tail and eye sockets are not to become tricky. Cherry would work well, but the colour may suggest a hamster more than a mouse. 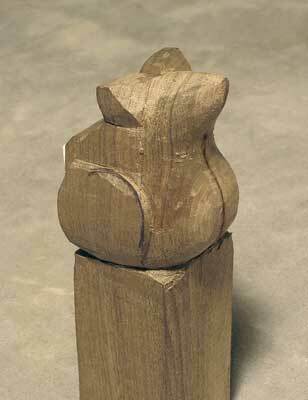 Lime would probably be easiest to carve, and any lack of grain pattern could be countered by staining the finished chap an attractively mousy colour. I chose to stick a paper pattern to the block. 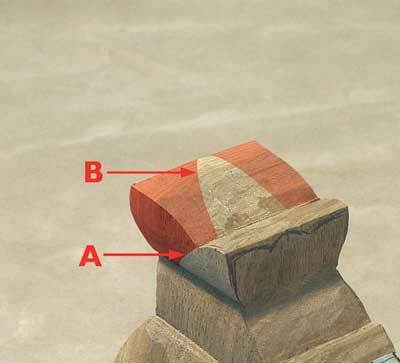 This method is very precise as long as the block is true and paper is carefully aligned. Don't use water-based glue though; it softens the paper, which can distort the design alarmingly. Use a setsquare to strike a baseline around all four faces of the block; the baseline of the paper patterns is aligned to this. 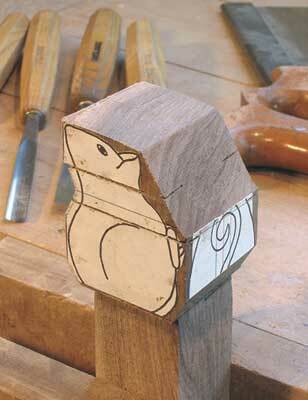 Consider how the grain will fall before settling on which side of the block will be the nose. 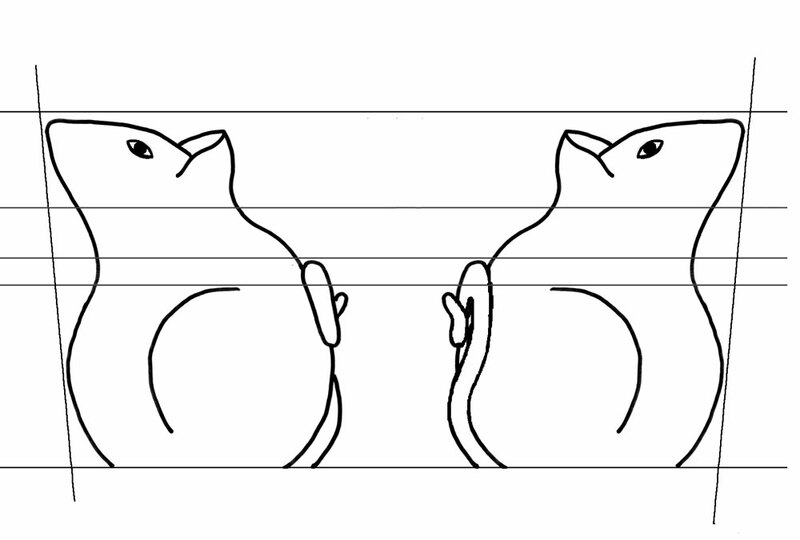 To catch the pale streak on one face of the blank, I had to align the front of the mouse to that face, rather than setting the base at right angles to the sides of the blank, as I've just suggested. In addition to the baseline, you will need to make sure the two side patterns are aligned; making the noses touch - or almost touch - the edge of the block is one way. The back and front profiles can be aligned by drawing a centre line on these faces of the block, and matching this with the centre guide I have provided on the pattern. 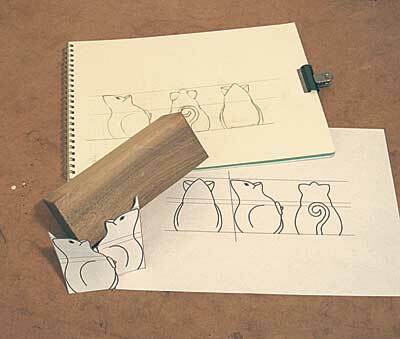 Projects often start with instructions to remove the majority of the waste with a bandsaw. In the case of a large carving, this is clearly an effective way to avoid hours of toil, gouging away mountains of waste wood. 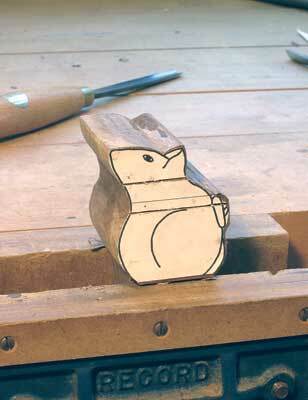 Many beginners do not, however, have access to a bandsaw and some folks just don't like power tools. 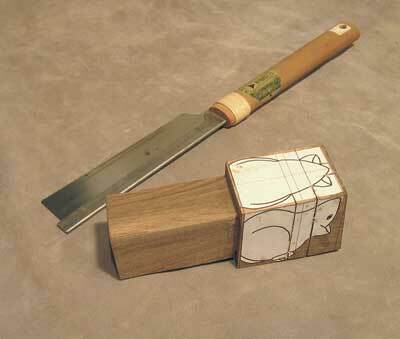 In any case, with small blanks, the benefits of bandsawing diminish, and its risks and difficulties increase. I don't consider it worth bandsawing something the size of this mouse. Roughing out took me less than two hours, and that included taking photographs. 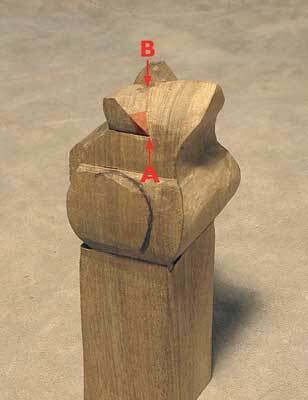 You may want to bandsaw the first profile, then use my method on the second stage. If so, make sure your saw blade is exactly vertical, as there is very little room for error. 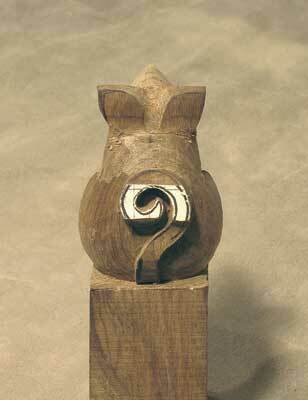 If you decide to go the whole hog, stick the waste back on with tape and bandsaw the second stage... well, good luck! You obviously have a close and trusting relationship with a better class of bandsaw than mine. 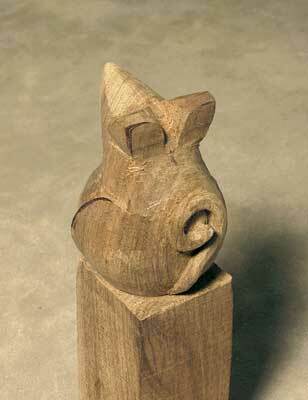 Give the piece a final sanding with 400grit abrasive, paying particular attention to the nooks and crannies. You can texture the inside of the ears with dots using a blunt nail. I felt this made the best of a smooth but uneven surface there. I brushed on thinned shellac sealer, giving it a few hours to dry before rubbing down again with worn 400grit abrasive. Take care to remove any visible 'nibs' - places where the sealer is thicker - as these will be very obvious after polishing on a dark surface, picked up and viewed from close, as your mouse is bound to be. Finally brush on medium oak paste wax and buff it off. 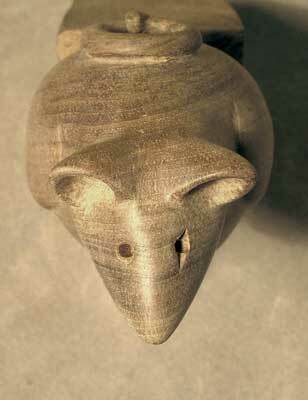 Of course you may prefer an oiled finish, which would give the mouse an attractive dull sheen. There are things I like about both the original mouse and the latest version (both shown below left). 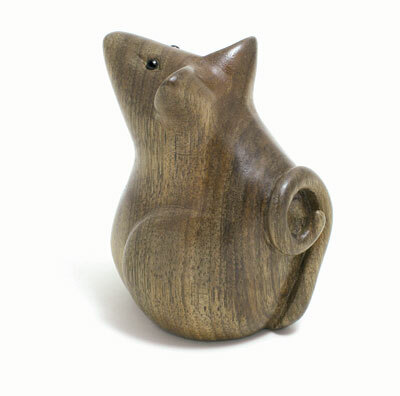 I prefer the general shape of the new mouse, particularly the ears and fuller belly. 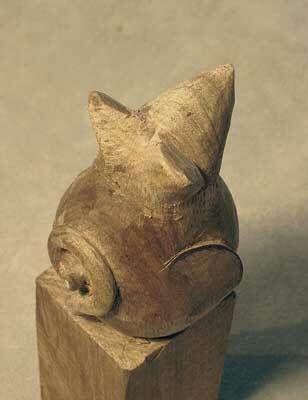 With more material to work from, the tail is more prominent too, which I think is important to this piece. 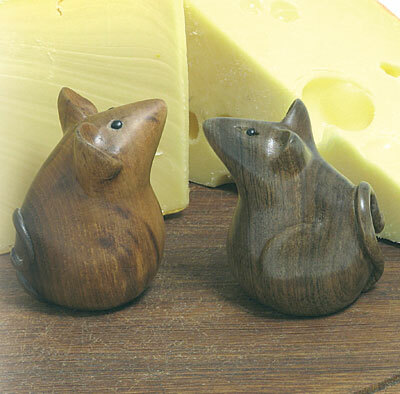 The smaller, deeper set eyes definitely give a more realistic expression, but the old mouse looks cuter with big eyes. 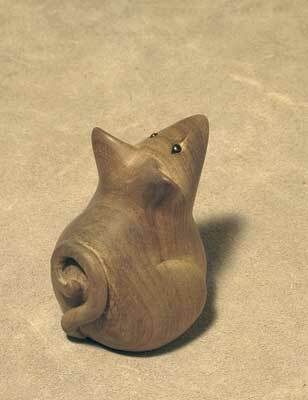 For me, the best feature of the old mouse is the wood itself. 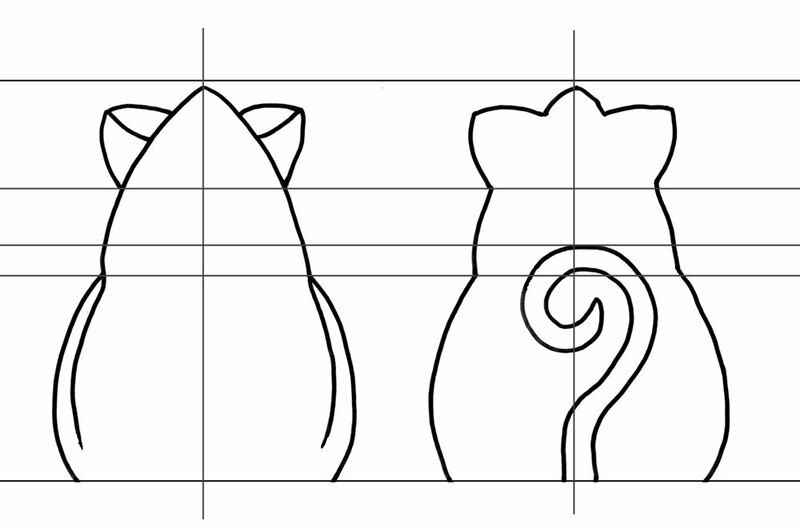 If I repeat this design, I will follow the re-worked design, but I will be looking hard for a piece of pale, well-figured walnut, perhaps one that includes the boundary between sapwood and heartwood so that only the back and tail are dark. And I might just make the eyes a little larger. 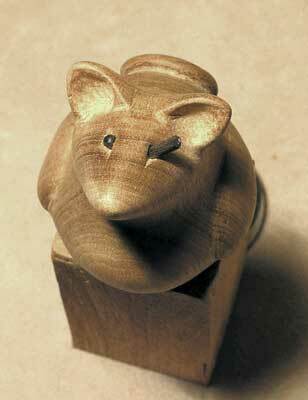 "You may prefer an oiled finish, which would give the mouse an attractive dull sheen"